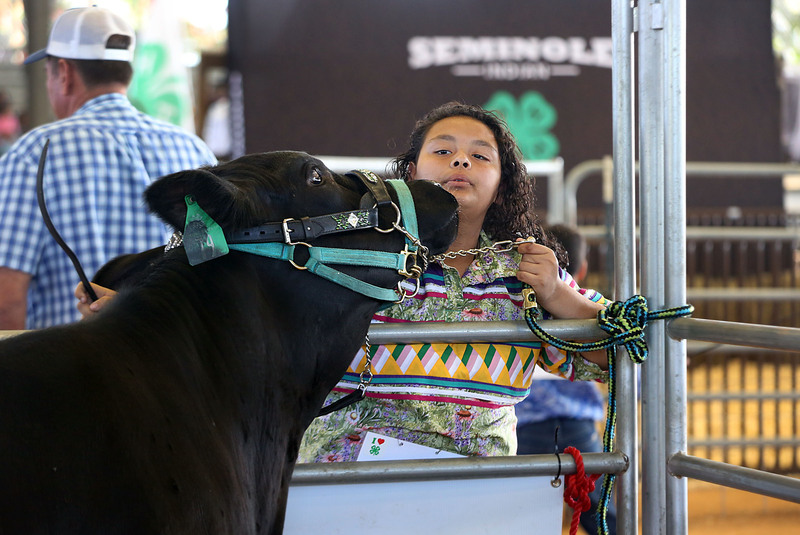 BRIGHTON — There wasn’t a horse in sight at Brighton’s Fred Smith Rodeo Arena when it hosted the Seminole Indian 4-H Show and Sale March 22 and 23, but there were plenty of steer, hogs and chickens. 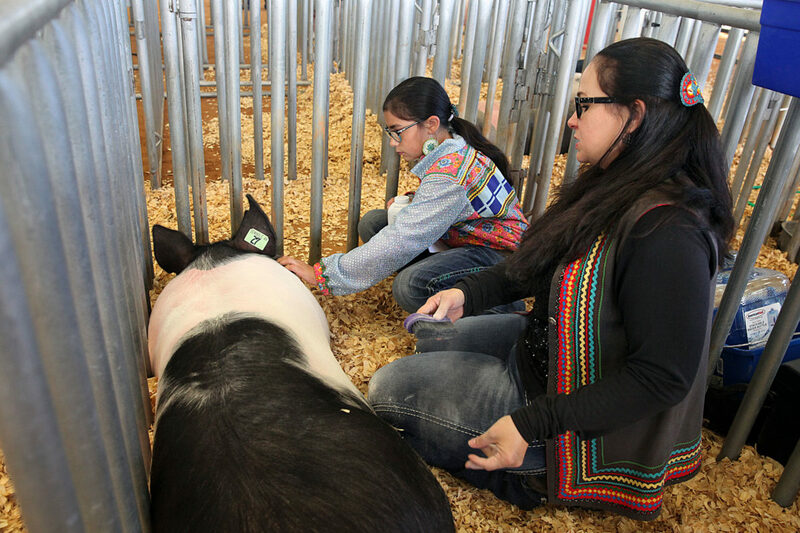 The event marked the end of months of hard work and dedication by the 4-H kids, who cared for their steer since last summer and hogs since the fall. 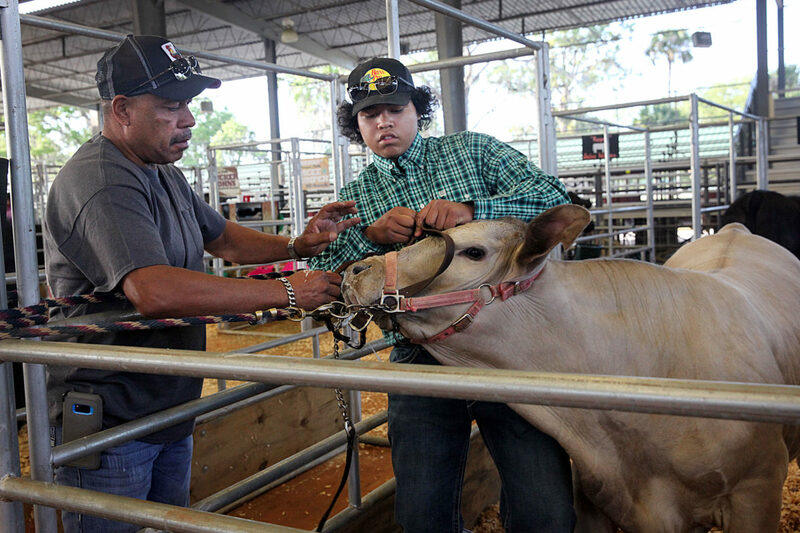 The program teaches them what it takes to raise livestock and send them to market. About 115 kids tribal wide participated in the 4-H program, which teaches the business of raising livestock. They tracked every cent spent on food, supplies and veterinarian costs and kept a log book with the information. A long lasting by-product of caring for the animals is a heightened sense of responsibility. 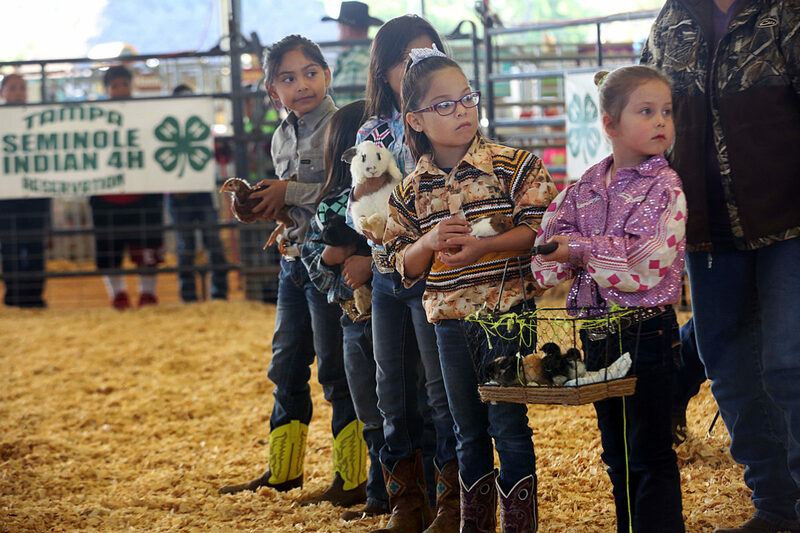 Chickens may not have stolen the show, but the animals took their place in the ring for the first time at the 4-H show. Three hundred chickens were distributed, 150 layers and 150 broilers, which the kids raised from chicks. The broilers are genetically made to grow large in less than 90 days. The Rhode Island Red layers should begin to lay eggs in the next few months and could be back next year, Stam told the crowd. 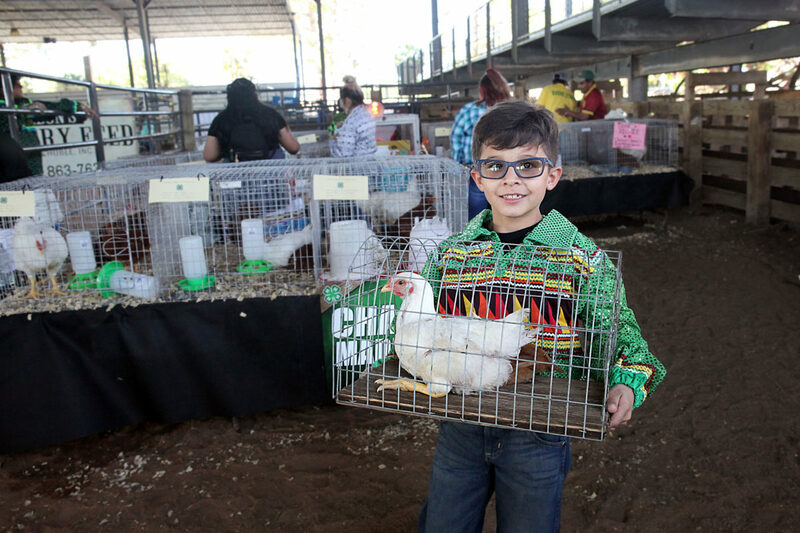 The chickens weren’t judged, but the participating 4-H’ers displayed their animals in cages before the show and showed them off in the show ring before the livestock events. 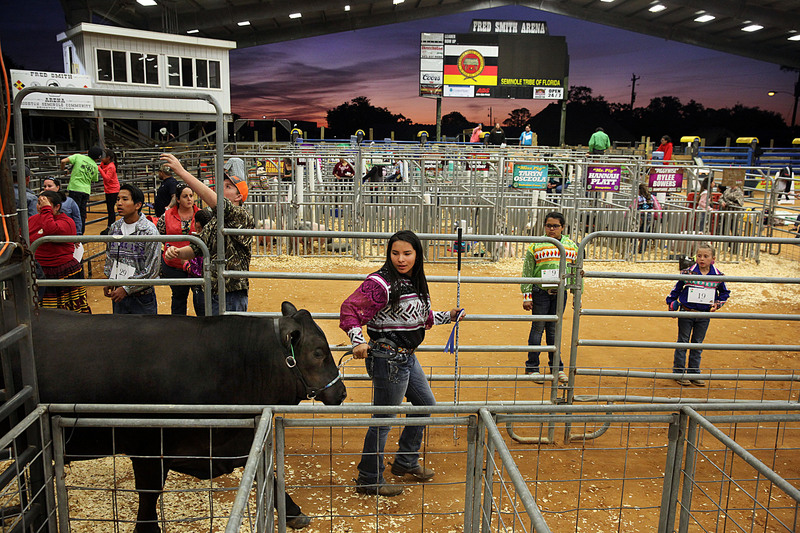 A photography club and sewing club were also new to 4-H this year. Photos and patchwork made by the youngsters were displayed. 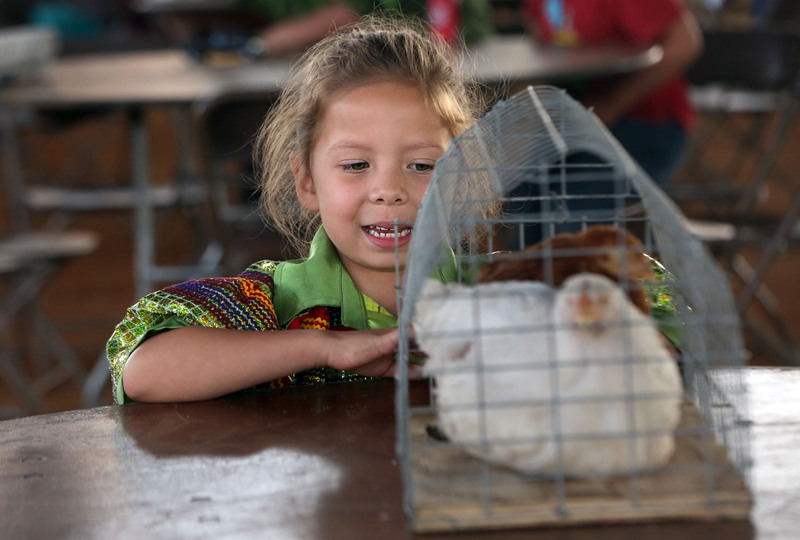 The youngest 4-H’ers, the Cloverbuds, learn to care for small animals such as guinea pigs, rabbits, ducks and chickens. They proudly showed their animals and answered questions about them in the show ring. In another first, a heifer in the program had twins. 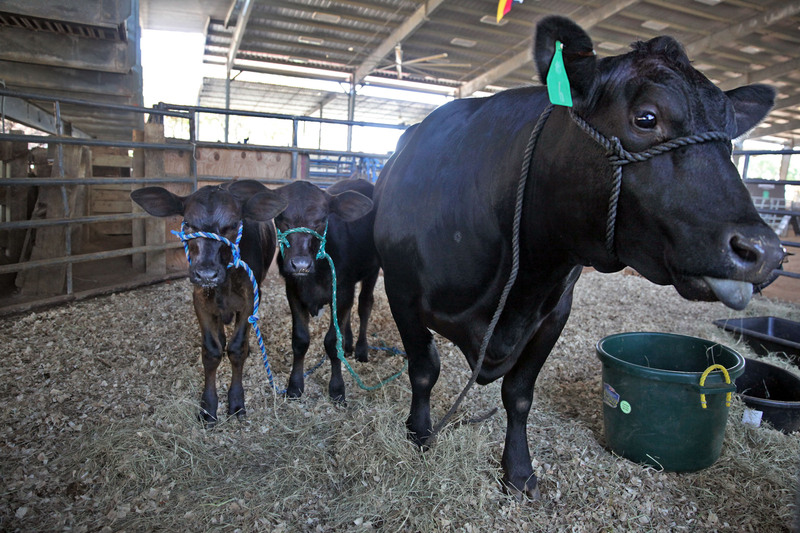 Brianna Bowers didn’t expect two calves and was surprised when they were born in October; the due date wasn’t until late December. 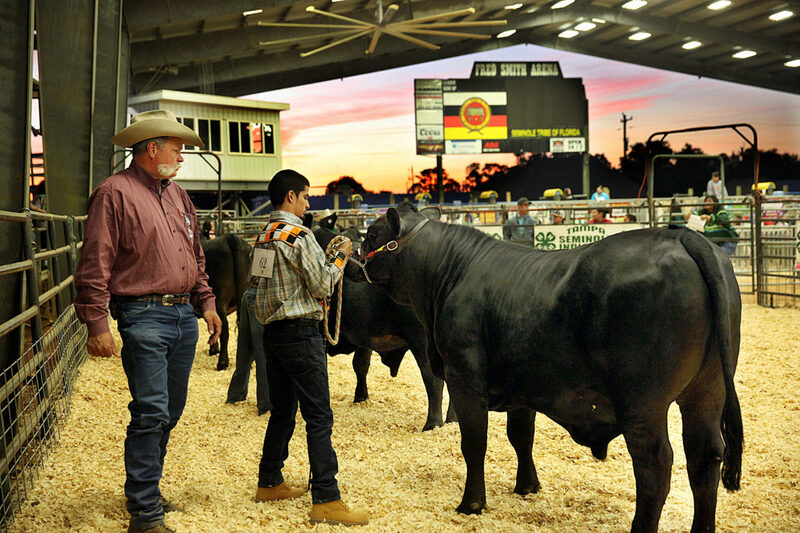 During the show, cattle judge Dr. Todd Thrift from the University of Florida commented on it. 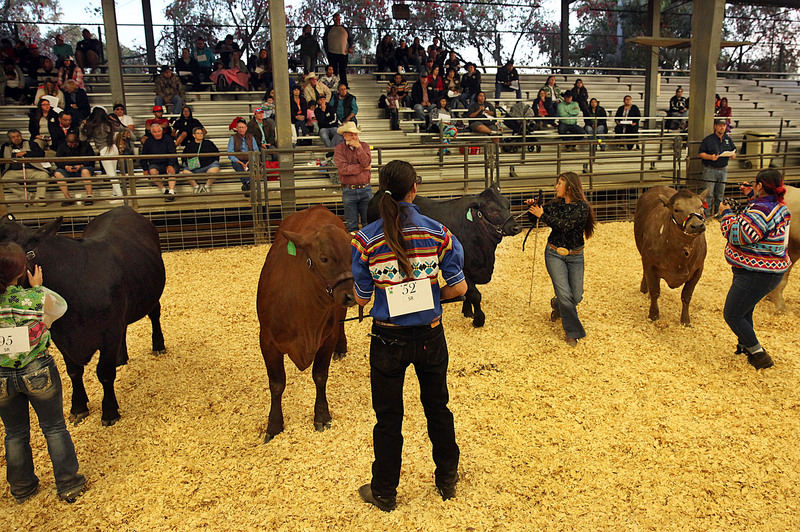 The show began with the heifers, a three-year program in which participants breed animals to start a herd of their own. The first year they show a yearling, the second year a bred heifer and the third year a cow-calf pair. Participants in the program don’t sell their animals, so it is common for them to also raise a steer and sell it. The hope is that the profit will help pay for the heifer’s expenses. 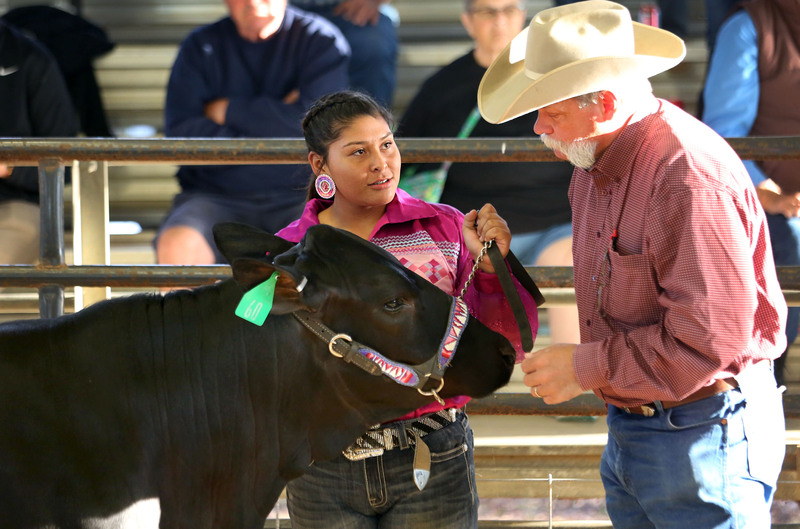 Alyssa Gonzalez has been in the heifer program for five or six years and has 10 in her herd. Her bred heifer took first place in her class. The judges told the crowd and the 4-H’ers, what they looked for in an animal. 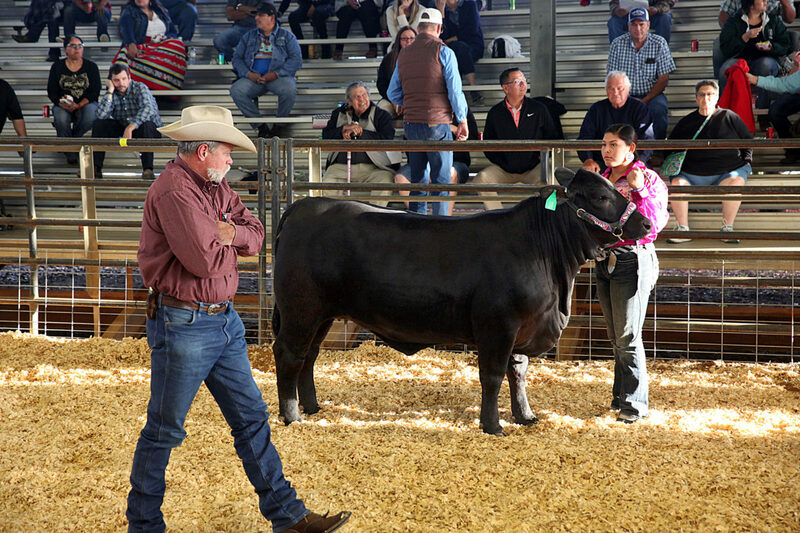 Thrift said a heifer doesn’t need to be a body builder but she need to have some good muscle. 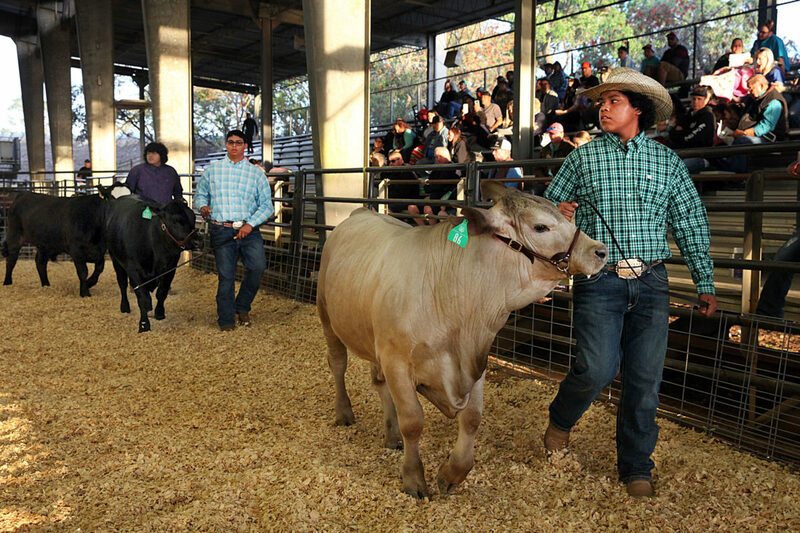 As he observed each heifer and steer, Thrift spoke with the kids. 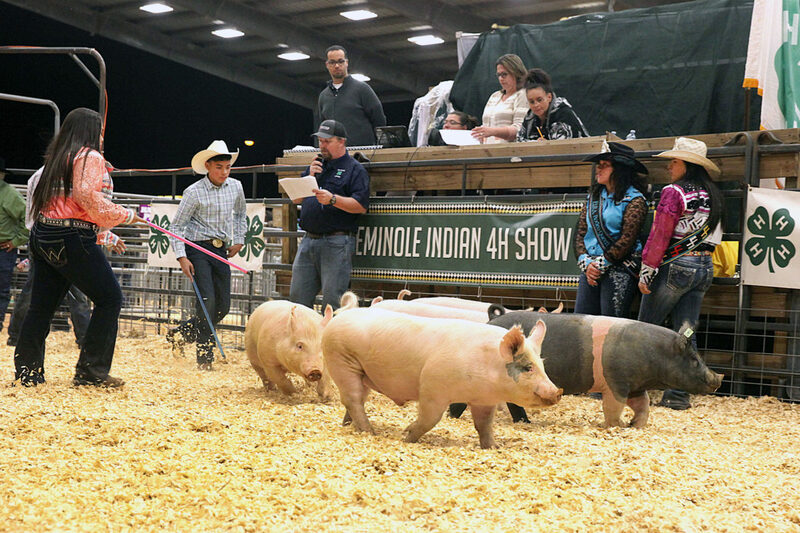 He told the crowd later that this is the only show he’s ever judged where every person knew the exact weight of his or her animal. 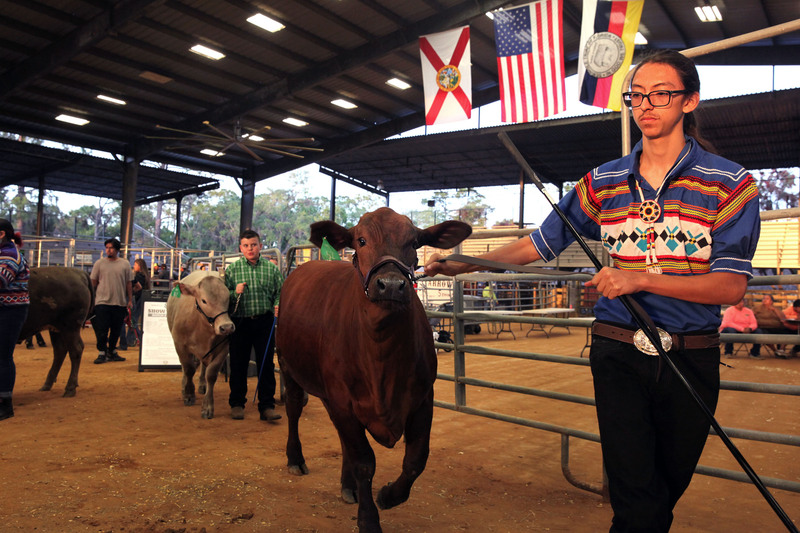 “It shows they know understand the value of the animals,” he said. 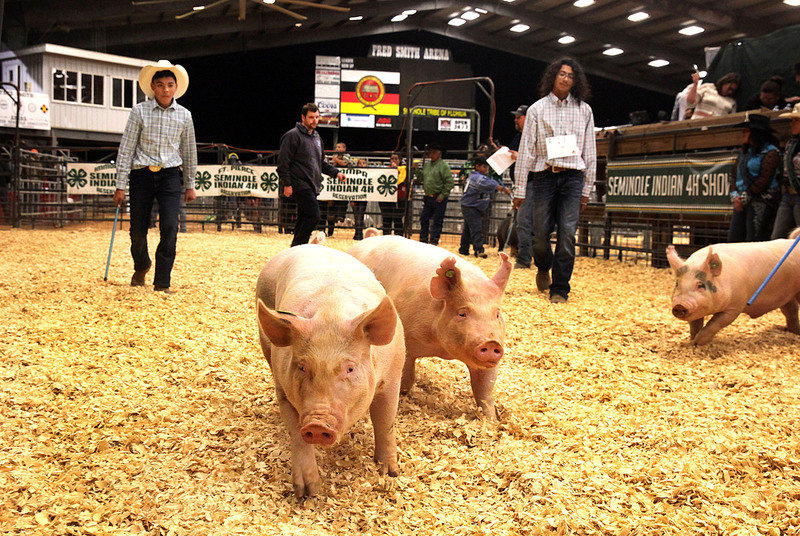 Hogs may be smaller, but they still take a lot of work every day. 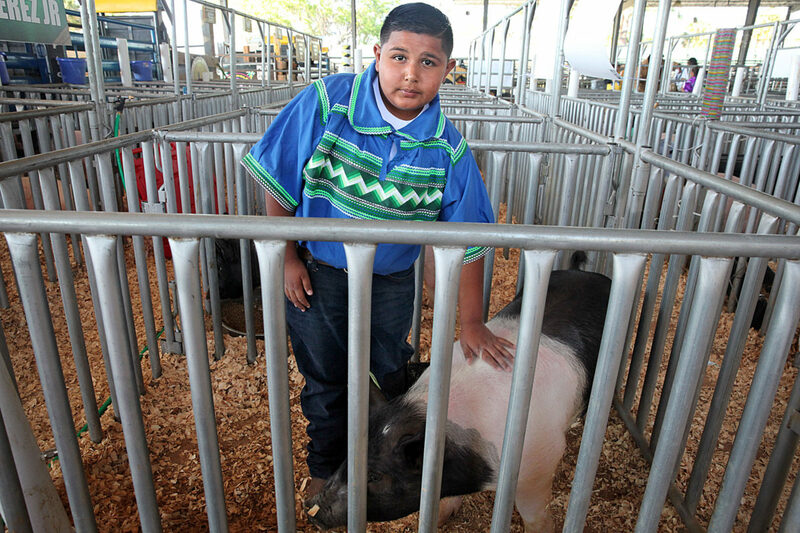 Jayden Garza, 10, showed his first hog at the show. He enjoyed taking care of his animal and learned a few things about the species. 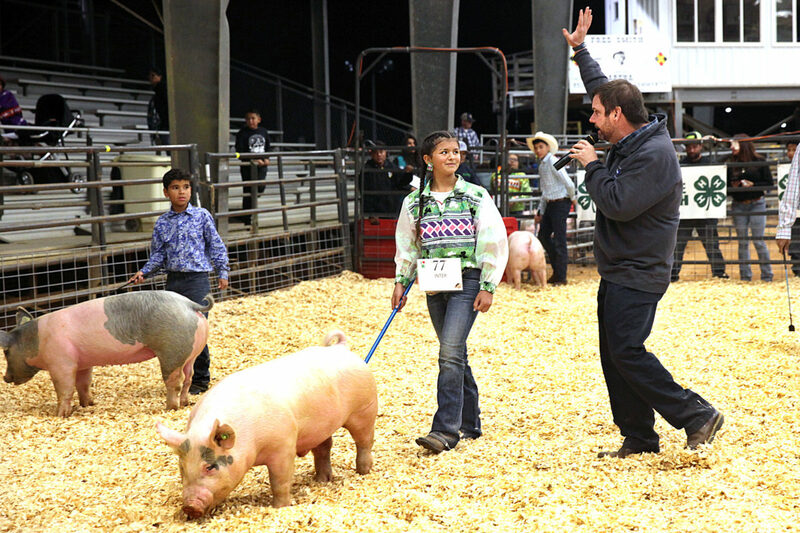 While they were in the ring, the kids had to manage where the hogs went while trying to keep eye contact with the judge. Summer Gopher remained focused on swine judge Dr. Chad Carr from the University of Florida. 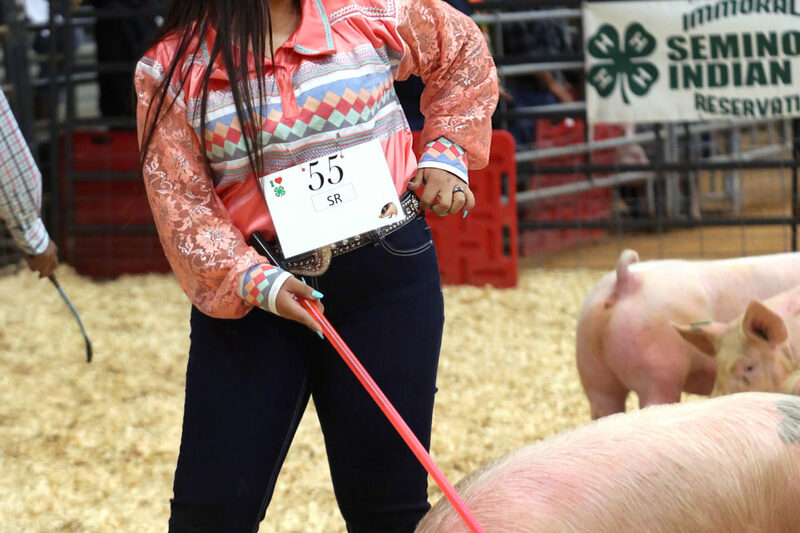 It paid off; in addition to winning first in her class, Summer was the swine Grand Champion Intermediate Showmanship winner. Jalee Wilcox, 12, who showed a yearling, bred heifer and a steer, won Grand Champion Heifer with a cow from her father Cory Wilcox’s herd. 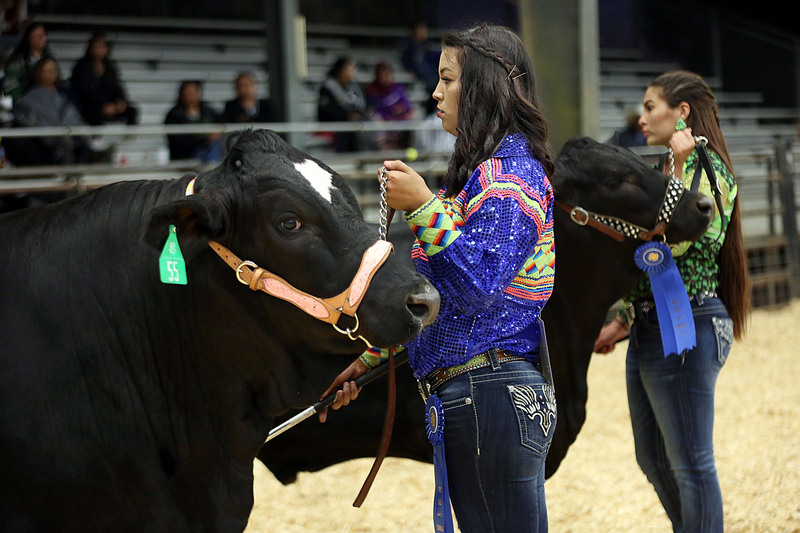 Dayra Koenes, 17, won for Grand Champion Steer, with a cow from Mary Jene Koenes’ herd. 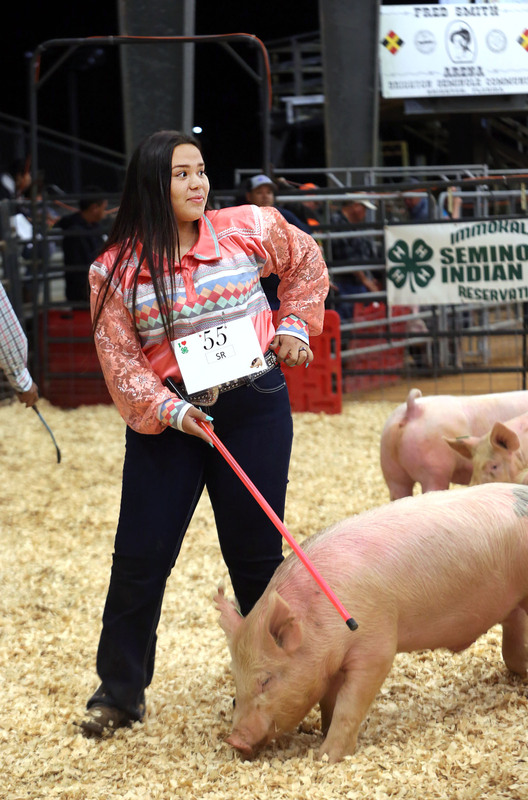 She’s been in 4-H since she was 5 years old. 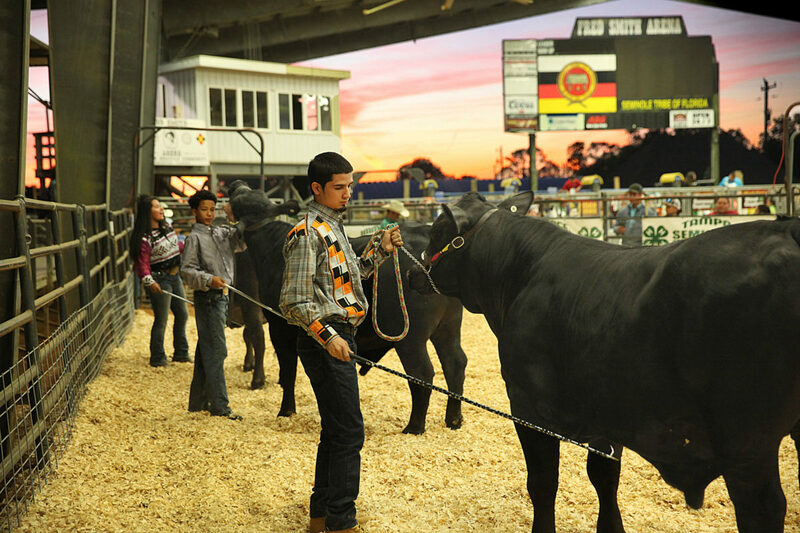 Troy Cantu, 17, was the Grand Champion Senior Showmanship winner. 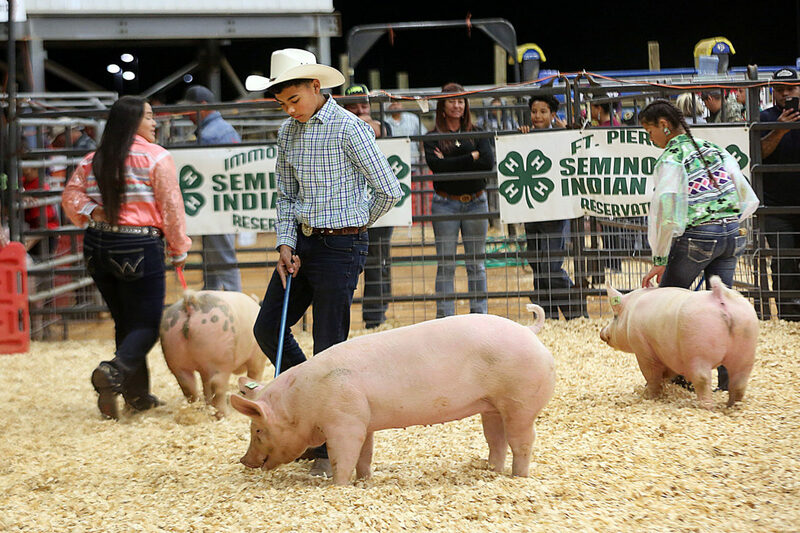 He’s been active in 4-H for 13 years and has won showmanship three other times.